The Iowa Seed Association Annual Meeting and Seed Forum will be held at the Varied Industries Building, Iowa State Fairgrounds, Des Moines, IA on Wednesday, February 15 from 9 am to Noon. Partnering with the Agribusiness Showcase & Conference will allow ISA to once again expand the education and networking opportunities available at our Seed Forum and Annual Meeting. The Agribusiness Showcase & Conference is about giving agribusiness professionals the opportunity to explore the innovative tools they need to grow their business, now and into the future. More than 1,000 ag professionals attended the 2017 Conference and its the nation’s largest indoor field-day was held which filled the Varied Industries Building. Through ISA’s partnership with the Agribusiness Showcase & Conference, ISA members will have the opportunity to attend a wider variety of workshops and network with all facets of the ag industry. The Seed Forum workshops are dedicated solely to information pertinent to the seed industry. Please pre-register before Jan 17, 2017 for a discounted price $75. After the 17th it will be $100. Registration includes educational materials, 2 Day Admission to the Showcase Floor, admission to the All Industry Reception on Tuesday, and lunch on Wednesday. The Iowa Seed Corn Cover Crops Initiative is a new project developed by the Iowa Seed Association in conjunction with the Agribusiness Association of Iowa, Iowa Farm Bureau Federation, Iowa Corn, and the Soil and Water Conservation Society. A $1.1M grant from the Iowa Department of Agriculture under their Clean Water Initiative program will fund the project starting this growing season and running through the end of 2018. The Iowa Seed Corn Cover Crops Initiative will focus on ways to help increase adoption of cover crops specifically within the seed corn production system in Iowa. The focus on seed corn is driven by the unique opportunity that seed corn provides due to the earlier harvest, thereby providing better timing opportunities for establishing cover crops in the late summer and fall after harvest. This focus is also heavily driven by the seed corn industry in Iowa, and their efforts to help promote and support the use of cover crops as part of Iowa’s Nutrient Strategy. C/S rate available to growers is $15/acre regardless of cover crop type. Seed companies and other supporting partners can offer incentives of their own in addition to the $15/acre C/S from project funds if they desire to do so (e.g. discounts on cover crop seed or seeding services, or $/acre incentives from seed companies). Call or e-mail Shawn Richmond at 515-868-0201 or shawn agribiz org (shawn agribiz org) . Pictured above: first row left to right, Susana Goggi, Iowa State University Seed Center, Anthony Moellers, Kelsey Baumhover, Rebekah Arnold, Sarah Striegel, Haleigh Summers, Kathryn Hoemann, Dr. Manjit Misra, Iowa State University Seed Center and Iowa Seed Association Ex-Officio, Shannon Latham. Second row left to right, Lucas Roberts, Jamie Pokorny, Catherine Leafstedt, Iowa Secretary of Agriculture Bill Northey, Chris Latham, John Latham. Des Moines, IA – The Iowa Seed Association (ISA) recently awarded nine Iowa Seed Association (ISA) Scholarships of $1000 each. 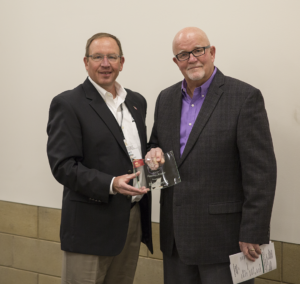 The awards ceremony was held during the Agribusiness Showcase & Conference at the Varied Industries Building at the Iowa State Fairgrounds, Des Moines, IA on February 10, 2016. Iowa Secretary of Agriculture Bill Northey also attended the ceremony. One of these students, Haleigh Summers, was also selected as our “Manjit Misra Outstanding Senior Scholar,” and that individual will receive $500 in addition to the $1000 ISA scholarship. ISA also award another $1000 scholarship sponsored by the American Seed Trade Association (ASTA). Des Moines, IA – The Iowa Seed Association (ISA) recently awarded nine scholarships of $1,000 to students in the College of Agriculture and Life Sciences at Iowa State University. One student was also selected as the “Manjit K. Misra Outstanding Senior Seed Scholar,” receiving a $500 scholarship in addition to the $1,000 scholarship sponsored by the ISA. During the awards ceremony held at the Agribusiness Showcase and Conference on February 9, 2011 at the Varied Industries Building, the ISA awarded another $1,000 scholarship sponsored by the American Seed Trade Association. 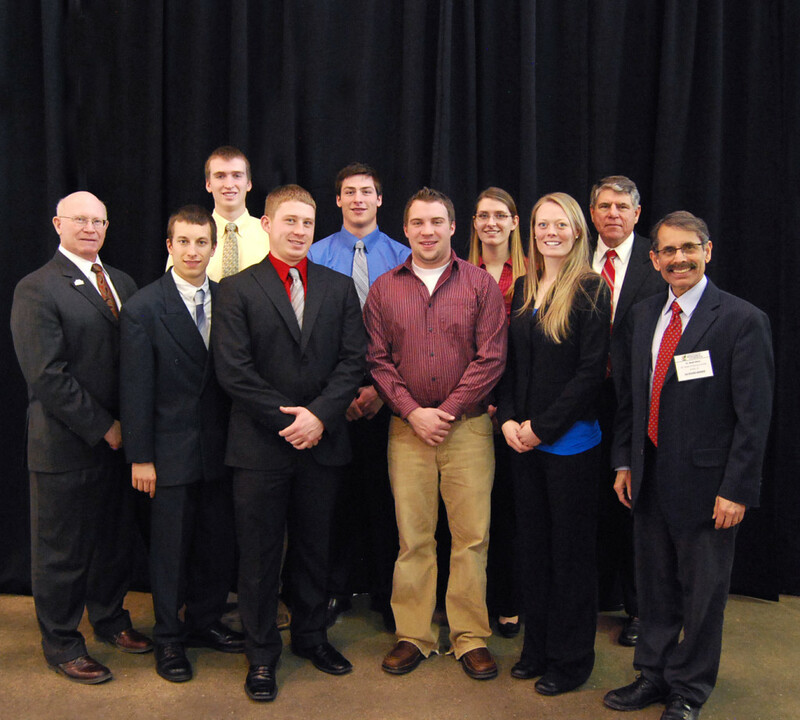 Recipients of the Iowa Seed Association 2010-2011 academic year scholarships are: Vivian Bernau, Ryan Fahn, Andrew Lauver, Matthew Mattia, Michelle McEnany, Devon Murray, Matthew Riessen, Jordan Uthoff, and Michael Fosdick received the Manjit K. Misra scholarship along with the ISA award. Michael Misra was the recipient of the American Seed Trade Association Scholarship. Vivian Bernau: Vivian is a senior double-majoring in Horticulture and Agronomy, and she hails from Altoona, Iowa. Immediately after high school, Vivian was a Borlaug-Ruan International Intern, and she spent her internship period in Tainan, Taiwan, at the World Vegetable Center. She recently has been employed with the USDA-ARS Plant Introduction Station in Ames and the ISU Organic Agriculture Program. Vivian’s main interest is in plant breeding, especially germplasm collection and pre-breeding. Her career goal is to become a germplasm curator at an international research center. Ryan Fahn: Ryan is a freshman from Portsmouth, Iowa majoring in Agriculture and Biosystems Engineering. He has worked for the past several years on the Fahn family farm, specializing in hog production. Ryan is fascinated with the seed industry, and he hopes to use his engineering background to design equipment for harvesting and handling seeds. Andrew Lauver: Andrew is a sophomore, and he is majoring in Agricultural Studies with a minor in General Business. Andrew grew up on his family’s farm outside Rockwell City, Iowa, and they produced corn, soybeans, and cattle. This past summer he had an internship with MaxYield Cooperative, and he was involved with the planting, care, and harvesting of trial plots. This experience reinforced his desire to be in the seed industry, and this summer he will work for Monsanto as a field sales intern. Matthew Mattia: Matthew is from Freehold, New Jersey, and is a senior at ISU. His major is Agronomy, and he will receive a minor in Genetics. His emphasis is in plant breeding and biotechnology. For the past several summers, he was an intern with Dr. Stacy Bonos at Rutgers University, and there he worked with many aspects of breeding turfgrass and other species that could act as bio-fuels. Michelle McEnany: Michelle is a junior majoring in Agronomy, and she is from Nevada, Iowa. She has worked in the seed industry for the past seven years. She rouged and detasseled for five of those years, and in 2009, she was a Field Safety Technician. Last year, she was a parent seed supply chain intern with Syngenta. Devon Murray: Devon is a junior, and he is majoring in Agricultural Studies, with a minor in Agronomy. He is from Charles City, Iowa. He has worked on the family farm, which is a Pioneer Seed Sales Operation unit, along with a corn and soybean production operation. He has had lots of experiences in the area of seed sales already that are preparing him for a professional career as a seed sales person. Matthew Riessen: Matthew hails from Schleswig, Iowa, and he is a junior double majoring in Agronomy and Agricultural Studies. He previously worked in seed sales for a firm from Schleswig, and last year, he was a corn research intern with a company in Ames. Jordan Uthoff: Jordan is from Solon, Iowa, and he is a junior, majoring in Agronomy. During the past two summers, he has had internships with Crop Tech Services and New Century FS, Inc., and before that, he worked on the family farm outside Cedar Rapids. His family farm also produced ~250 acres of seed corn. Michael Misra (American Seed Trade Association Scholarship): Michael is from Ames, he is a sophomore, and he is majoring in Global Resource Systems and Sociology. Michael worked for Blue River Hybrids and Monsanto two summers ago pollinating corn and he has worked for the USDA/ARS Plant Introduction Station since June of 2010. Michael hopes to work for an NGO after graduation, and he would like to work either in Africa or Central America, by supplying seeds and other agricultural necessities to the poor. Michael Fosdick (Misra Scholar): Michael is a senior, and he is majoring in Agronomy. Michael will receive a scholarship from the Iowa Seed Association, and he also was chosen by the scholarship selection committee as the “Manjit K. Misra Outstanding Senior Seed Scholar” for this year. This is the fourth year of this award, and it has been made possible through a donor, who wishes to increase the scholarship amount by an extra $500 for an outstanding senior. Michael has had internships with Pioneer at several locations over the past few years. After graduation, Michael will begin working for Pioneer in its Princeton, IL, facility, and he will be working as an agronomist trainee in the emerging leader program. 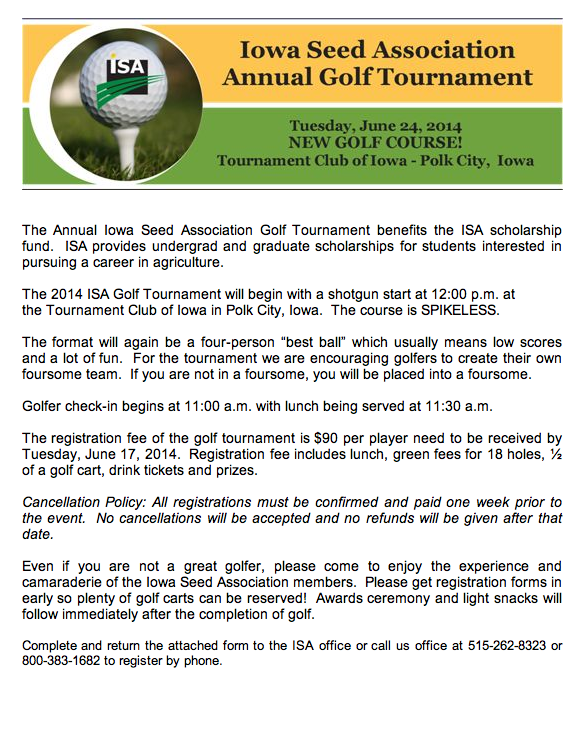 The ISA scholarships are open to students in any major in ISU’s College of Agriculture and Life Sciences. Scholarships are awarded on the bases of: academic excellence, leadership skills, interpersonal skills, and most important to the selection committee, a demonstrated interest in a career in the seed industry or seed science. For further information, please contact ISA president Steve Werning by phone at 515.669.8480 or via e-mail at steve werning syngenta com (steve werning syngenta com) . A photo of the ISA scholarship recipients is attached and a video here. The Iowa Seed Association strives to promote the seed industry, research pertaining to the betterment of agriculture, and to cooperate with educational and regulatory authorities in the development of a sound and effective seed program for the advancement of agriculture. For more information about the Iowa Seed Association, please go to: www.iowaseed.org.